With the Irish love of tea, most Irish households have a tea pot somewhere. Though these days there is little time to make and enjoy a pot of tea with hectic schedules all around, for those tea lovers out there you know there is nothing like a cup of tea made from a pot! 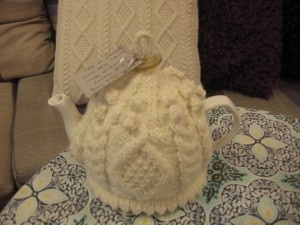 So we’ve been selling the perfect accessory for this in the Aran Tea Cosy. Handknitted in Dublin by Joan our very talented knitter, the tea cosy pictured above is made exclusively for the shop and retails at €29.99. It’s made using a wool mix so it’s soft and machine washable. It also fits small to medium size tea pots. It would also stretch over a larger size. We are obviously biased and love our own knitters honeycomb pattern but we found this little beauty on Pinterest and love the combination of stitches and bobble head top. 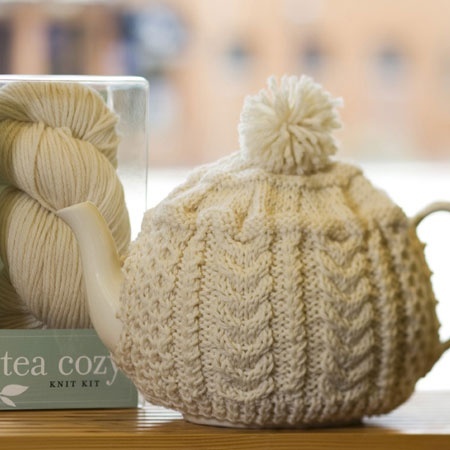 As well as looking adorable, a wool tea cosy really works to keep a pot of tea warm and it’s a great momento to take home for visitors to Ireland as well as all the Irish living around the world, this is a lovely reminder of home! 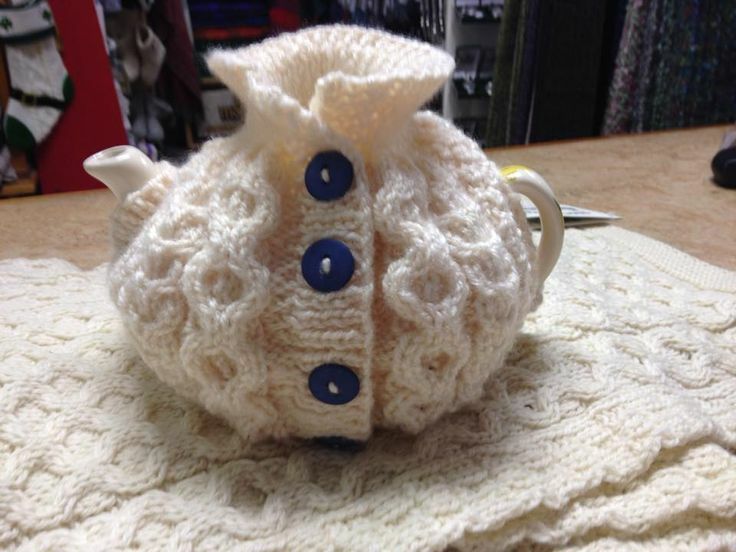 Here is another example of an aran tea cosy we found on Pinterest, but we think you can’t beat Joan’s design that looks like the tea pot is wearing a little Aran Sweater adorable!